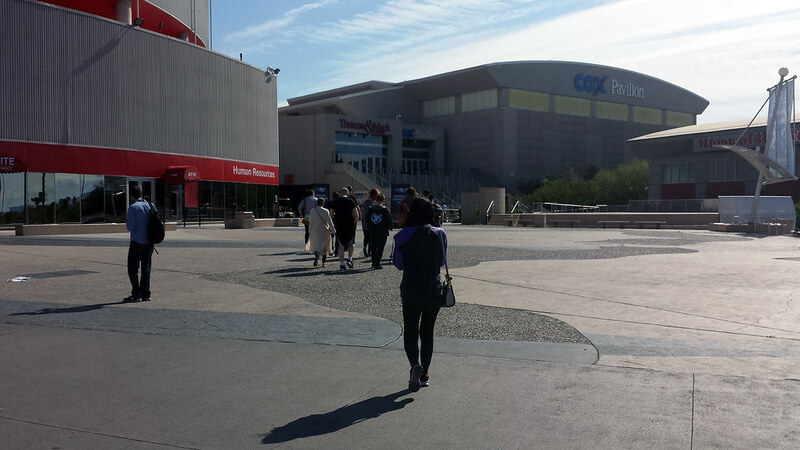 After our filling dinner from last night at the Cleo in SLS Las Vegas, we woke up nice and early to head to the Cox Pavilion for Heroes of the Dorm 2017. 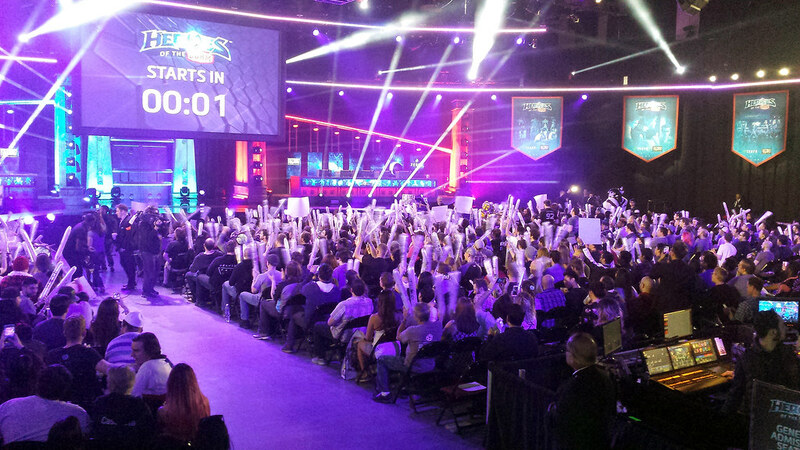 Heroes of the Dorm is a collegiate Heroes of the Storm tournament where the top university and college teams across America compete to get their tuition covered by Blizzard. 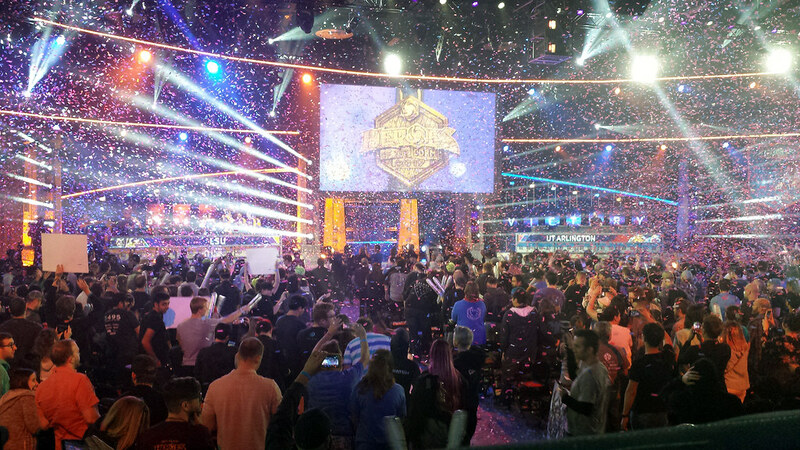 The four best teams came to Las Vegas to compete in person for the championship. Because I was part of the press/media team, I arrived earlier before the regular spectators. I was able to get a shot up from the media balcony looking down at the empty stadium that was about to be filled with a sold out crowd, plus stand at the front entrance of the Cox Pavilion and get a shot of the line of attendees waiting to get into the venue. For a few hours before doors opened to the public, we were able to get ourselves set up in preparation for covering the event. We also got to interview the four teams competing; I attended the interview and transcribed everything for content to go out on TempoStorm.com later. 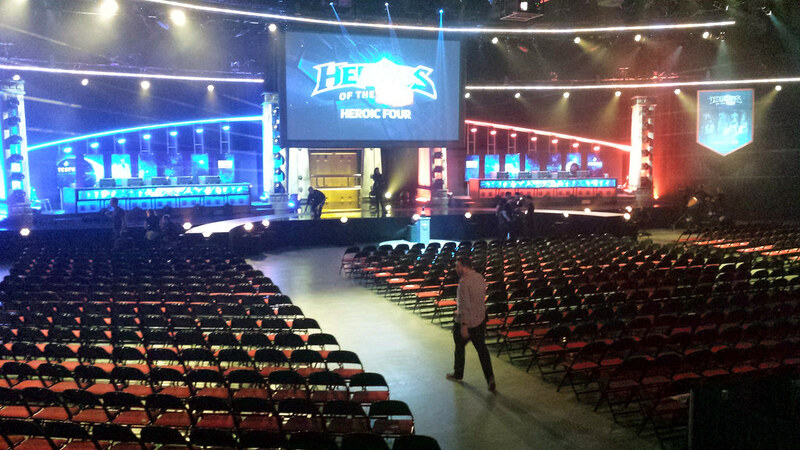 Ever since Blizzard changed the format of professional Heroes of the Storm from a tournament-based format to an online league format, there haven’t really been many live Heroes of the Storm events, so the turnout for Heroes of the Dorm was pretty huge. 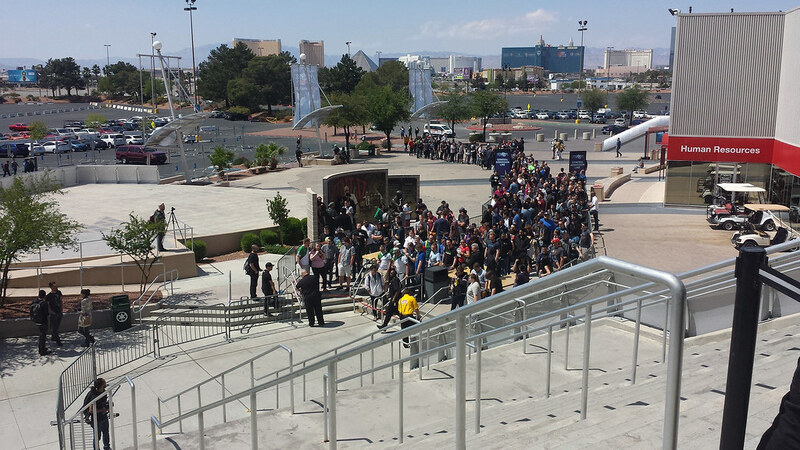 When doors opened to the public, people started flowing into the stadium after checking out the other stuff Blizzard had set up (mainly a merch area and a photo spot). All the series were one-sided – LSU defeated Kentucky 2-0 in the semifinals, UT Arlington defeated UC Irvine 2-0 in the second semifinal series, and UT Arlington defeated LSU 3-0 in the finals. That resulted in a much shorter day of games than anticipated.